Gun Metal Brush is made using high grade raw materials and according to the international quality standards. 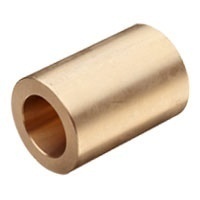 They are designed in accordance with the specifications provided by the customers. Our range of these products is used in many industries which are resistant to rust and durable in nature. These are offered to our clients at economical prices in the market. Gun Metal Bush is made using high grade raw materials and according to the international quality standards. They are designed in accordance with the specifications provided by the customers. 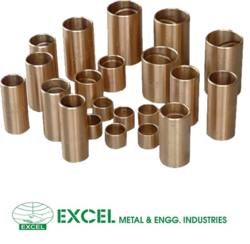 Our range of these products is used in many industries which are resistant to rust and durable in nature. These are offered to our clients at economical prices in the market. MICRO METALS , Gunmetal Bushes are made from very high quality raw material which ensures hassle free work performance at its user end. These Gunmetal Bushes are widely finds its applications in various industrial sectors.